Minuit was a Dutch settler who sailed to North America and arrived at the mouth of the Hudson River on May 4, 1626. He was subsequently appointed by the Dutch West India Company director general of the colony on Manhattan. 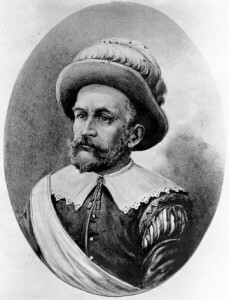 Wanting to legitimate the Dutch claim to the island, he gathered the local Indian leaders and “purchased” Manhattan for goods valued at 60 guilders on August 10, 1626. Historians calculated this as $24. Minuit then founded the town of New Amsterdam at the southern tip of Manhattan. It was renamed New York when the British took it over in 1664.